This entry was posted in Uncategorized and tagged Alethea Kontis, beachreads, books, Brenda Drake, C.M. 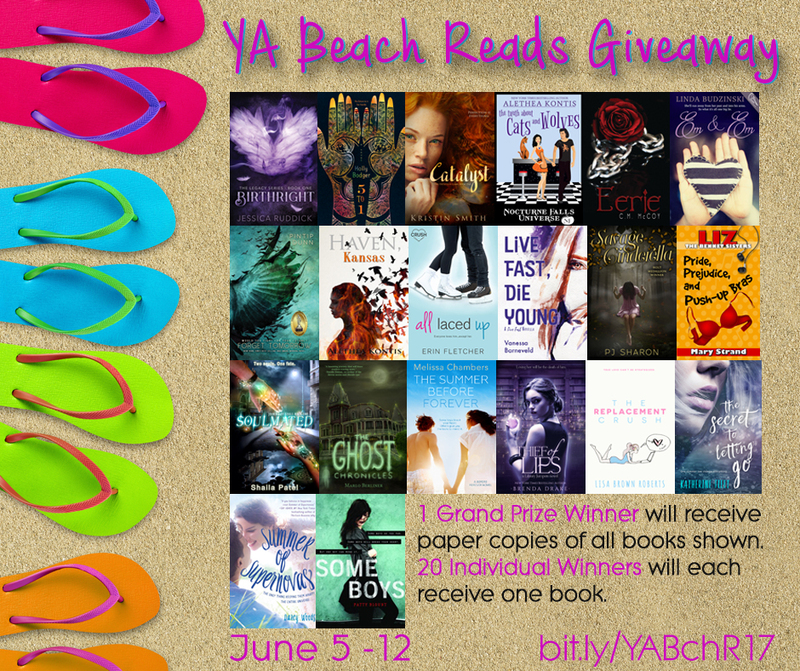 McCoy, contest, Darcy Woods, Erin Fletcher, giveaway, Holly Bodger, Jessica Ruddick, Katherine Fleet, Kristin Smith, Linda Budzinski, Lisa Brown Roberts, Mary Strand, Melissa Chambers, Patty Blount, Pintip Dunn, PJ Sharon, Shaila Patel, Vanessa Barneveld, win, YA, YA authors, YA blogger, YA Lit, YA literature, young adult by marlo. Bookmark the permalink.